Beds N Roses hostel started it 6th year of operation with a new design and more services like free of charge services as internet, wifi, security safes, washing machine use. We wish to thank our previous and future guests keeping their faith that a different private atmosphere, a different character and intimacy can also have its own charm. We offer private en-suite rooms, at an extraordinary, pedestrian downtown location by the famous Hungarian Opera House and Andrassy steet, at also 10 min. walk from the Parliament, Danube bend or Vaci street. More fancy cafes, pubs, restaurants, shops and entertainment places can be found in the near just down the street . Two banks, ATM's (cash machines), money exchange offices, fast food restaurants (Mc Donalds, Burger King) within a short walk distance. 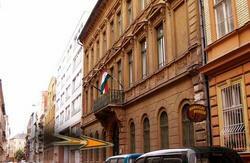 The hostel can be found on the first floor of a typical renovated Pest down town building. We have a few double, twin and 3-5 bed rooms. All the rooms have bathroom in the room containing shower, basin and toilet. We have a well equipped kitchen with cooking possibility and refrigerator. - Tables, chairs, wardrobes, fans in each room. If you can not be at the hostel at about the estimated arrival time you have given us on the booking enquiry, please try to call us at least 1 hour before your arrival to the hostel(/Mob: + 36- 20-332-6322/ - currently there is no reception and we may not be at the hostel just then) or much better: try to advise your new arrival time in advance. You can advise arrival time from 9 am to leave your luggage at our hostel, but you can occupy your room from 11 am(in some cases earlier or a bit later). !!!!! Booking cancellation conditions !!!!! A written booking cancellation is free of charge 72 hours before booked arrival date and time. Metro 2 (red line) to Deak ter. >> Underground (yellow line) to Opera house stop. The hostel is at 3 min walk from the Opera house stop. Trip time: approx. 20 min. Metro 3 (blue line) to Arany János station . 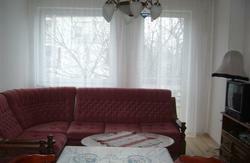 The hostel is at 3 min walk from the metro Arany János station. Trip time: approx. 10 min. Metro 3 (blue line) to Arany János station . 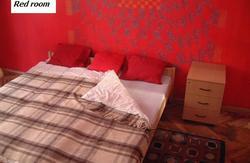 The hostel is at 3 min walk from the metro Arany János station. Trip time: approx. 20 min. So where we are: - at 3 min. walk from the Operahouse, - at 7 min. from the Basilica, - at 10 min. walk from the Parlament, - at 10 min. walk from Váci str. and Danube bend, - at 7 min. walk from Deák tér (where the 3 metros meet), - at 6 min. walk from Oktogon and Liszt Ferenc squares, - at 10 min. walk from Nyugati(west railway station).